During each Sunday service, we invite our kids to go to Lakes Kids during the message. Here kids learn about Jesus and faith in exciting and creative ways through stories, songs, games and small group time. Part-way through the service you’ll be invited to take your kids to the Kids Hall and sign them in. At the end of the service you can sign them out and collect them. At Easter and Christmas we have activities for kids during our church services. The Junior room is for the youngest children. They learn about God and come away with songs, stories and crafts. We do our best to help them feel safe and have fun. Parents are always welcome to stay with their child until they are settled. The Primary room is for primary school children. They sing and worship, have stories and teaching from the Bible, games and activities, and time in small groups each week. It’s a fun way for the kids to hang out with their friends, connect with one another and grown in faith together! Koala Kids is our very popular playgroup ministry, during the week for the whole community, run for under 5’s and their parents/carers. You can find out more and join a group here. Geckos is our kids club for primary aged kids (prep to year 6) that runs on Friday nights from 5.30-7pm. The kids have fun playing games, learning stories from the Bible, doing craft and singing songs! Geckos is a drop off/pick up program. Cost: $4 per child, or $7 per family. Contact us for more information. We love and support school chaplaincy in our local primary schools! If you are in a state school, find your SU QLD chappy and connect with them. 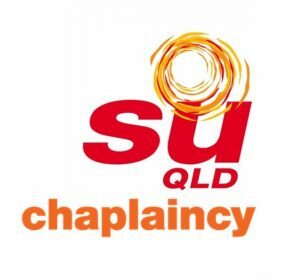 To find out more about SU and the chaplaincy in schools see the SU QLD website. We partner with a number of local churches and SU QLD to support and send our kids to camps. 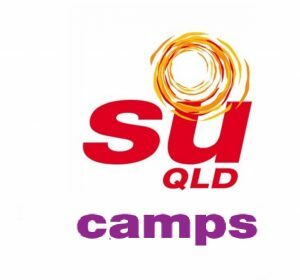 To find out more about SU and the camps that are happening soon see the SU QLD camps website. We love our kids, and we want to protect them as they grow in life and faith. We have implemented ChildSafe across our church to ensure we have Safe People, Safe Programs and Safe Places. If you have a question about how your kids can connect in our church, please send us a message using the form below!